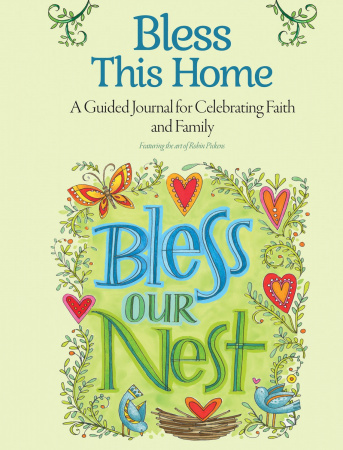 Celebrate life's greatest treasures—faith and family—with this inspiring new guided journal. Bless This Home is designed to lead you toward a more loving and spiritual life, with thoughtful questions that stimulate reflective thinking and writing. Gifted artist Robin Pickens provides beautiful color illustrations throughout the book, based on uplifting thoughts and Scripture passages. Attractively designed and made of the highest quality materials, this finely crafted, heartwarming journal offers plenty of lined space to write, as you seek God's blessing for your hearth and home.